The buttons illuminated, press. Production of Spamel plant. Wholesale. Kiev. 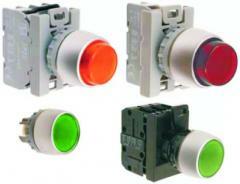 Unbelievable price on Buttons pushins with adepter in Kiev (Ukraine) company Elektro-Svit, OOO. Wide choice of quality products at affordable prices.